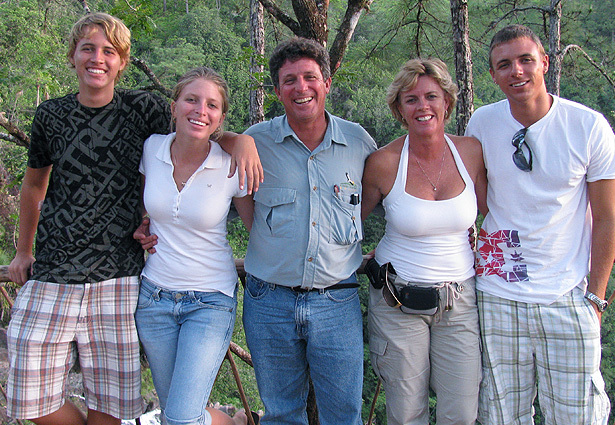 The Innkeepers and owners of Hidden Valley Inn & Reserve are the Roe family: Trevor, Jacqui, Andrew, Simone and Michael. For us, Hidden Valley Inn is an inspiring world of peace and natural wonder, where the striking beauty of the pristine wilderness is in a balanced contrast with the luxury and comfort of Hidden Valley Inn. Our experiences at Hidden Valley Inn have become the memories that define the family's history, together. From the discovery of the waterfalls that now make up the Cascade Trail, to an impasse in a Butterfly Falls hike created by a large snake, quiet moments overlooking the two forests from the top of King Vulture Falls to whatever enchantment nature brings our way tomorrow. Hidden Valley Inn is more than a resort; it is an experience of peace, privacy, nature and luxury found nowhere else on earth. We invite you and yours to join us in this adventure. Come visit Hidden Valley Inn.